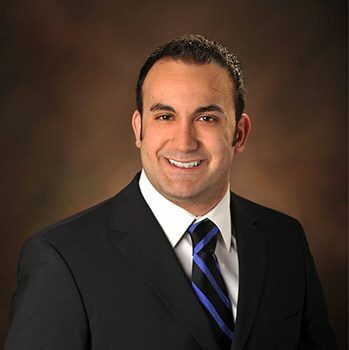 Dr. Amin Mason is the board certified orthodontic specialist at Polaris Orthodontic Center. He went to high school in Dayton, OH and attended The Ohio State University for undergraduate studies in Electrical and Computer Engineering. Following undergraduate studies, he attended The Ohio State College of Dentistry. After finishing dental school, he completed a one year craniofacial research fellowship at the University of Kentucky in Lexington, KY. Upon completion of his research fellowship, he attended the University of Colorado, Denver and obtained his certificate in orthodontics and Master of Science in Dentistry. After finishing his residency in orthodontics, he opened his private orthodontic practice in Columbus, Ohio. Recipient of 2012 Rocky Mountain Orthodontics Scholarship. Recipient of CTOC grant, funded by NIDCR. TADs (Temporary Anchorage Devices), accelerated orthodontic treatment, esthetic and lingual orthodontics, clear aligner treatment (Invisalign system) and interdisciplinary treatment of adults. Dr. Mason has worked as a general dentist in Columbus and was a contract general dentist for the US Military in Colorado. He believes in evidence-based clinical orthodontics and has research experience in Nickel-titanium wires, bisphosphonate-related osteonecrosis of the jaw, and genetic factors regarding external apical root resorption of teeth. Dr. Mason is a fun, active guy with interests in weightlifting and strength training, traveling, cooking and keeping up with all the latest advancements in orthodontics.